Karryn currently works as a data analyst in the Division of Epidemiology and Biostatistics. She completed her Masters in Public Health, specializing in epidemiology and biostatistics, in 2018. 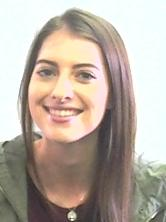 Karryn had previously completed her Honours in Human Genetics and worked as a research intern in the Division of Exercise Science & Sports Medicine (ESSM), Department of Human Biology, UCT. Her current research interests include maternal health and genetic epidemiology.